For all removals Kentish Town our NW5 removal company offers only the best services! Moving can be stressful, whether it’s house moving Kentish Town, office and business removals or something else, an element of pressure is bound to happen! Kentishtown Removals is here to help out! We try to reduce the strain and stresses that comes with moving by taking on the hard part, we are prepared to do all of the heavy lifting, organising, packing and planning for you, so that you don’t have to worry! To find out more call us now 020 3743 9953. Our company is here to assist you and to offer a helping hand throughout the whole removal process. 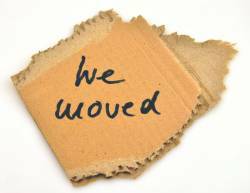 Not only can we take on this extensive task and to do it in no time at all but also we can offer friendly advice on many different things regarding Kentish Town Removals and more importantly we will advise on the ways to help reduce the costs. NW1 man and van hire is just one element of what we provide; we also offer a whole array of other services too. You can opt to hire our packing service and our NW5 storage too if you wish? Depending on your budget you may wish to hire only the man and van or a man, van and extra assistance, or the packing service which includes our top quality packaging and packers to do the work for you and/or maybe our storage units. You can mix and match the services by only opting for those that you feel are needed or if you wish to use them all, feel free! Our services are offered at the best possible rate as we appreciate how expense a house removal NW5 can be, and they will not break the bank, but if you wish to make the move as cost effective as is possible, we are more than willing to advise on how that can become a reality, call us now to find out more 020 3743 9953. Kentishtown Removals offers a fast and reliable service, you give us the date and time and we will be there, ready and willing to go! We aim to get the job done in no time at all, thus to reduce the costs to our clients! and our specially trained team of movers are extremely helpful and trustworthy, so you don’t have to worry about a thing! Our NW1 removal company prides itself in how efficient we do our house removals, we handle all of client’s goods with utmost care and we take responsibility for any damages in case the inevitable did happen by providing a protective insurance cover within our packing service! For the very best in home and office removals our company is exactly what you need! We have many years of experience within this trade and we have learned over the years, how to do this fast and effectively! We always aim to please our clients and if ever you are not happy with the way that we do things, we are more than willing to change our routine to suit our client’s needs. Our removal men only work in a professional manner and they are taught to respect and adhere to the client’s needs. The loading and unloading of the van is our priority, we do not expect the clients to help with any of the heavy lifting, but if you prefer to assist us during this process and would like to see things done in a specific way, then that is absolutely fine by us! Call us now 020 3743 9953 to see how we can help, and for any advice you may require regarding removals. Please voice your concerns to us as we may be able to help you to overcome them! Company name: Kentishtown Removals Ltd. Description: A moving firm NW1 offers relocation services from A to Z. Choose between apartment removals NW5, man and van service, commercial moving.